spacesOn a fifty acre tobacco farm in North Carolina, Tracy (Amy Ryan) and Jesse (Terry Kinney) bury the remains of their recently deceased father in the middle of the field, in the land that he loved. One week later they find three older men camping in their field. Tracy and Jesse discover the men (Max Gail, Francis Guinan, Steve Coulter) are brothers whose family used to own the farm. They haven't been back in 50 years. 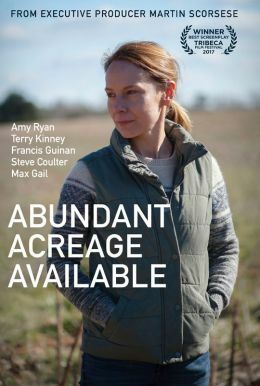 ABUNDANT ACREAGE AVAILABLE is about family, morality, ownership, grief and letting go.